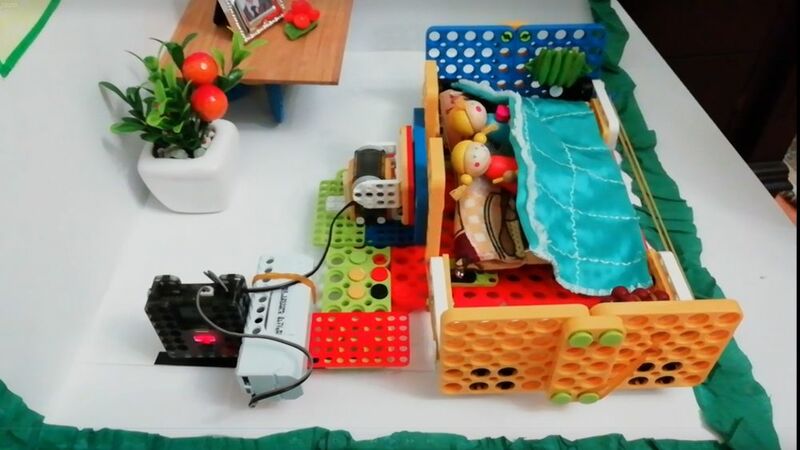 This bed made by parts of IDEAS and DREAM kits. It has one CM-150 controller, a battery and a motor. When earthquake happens the IR sensor moves from black line to the white background. 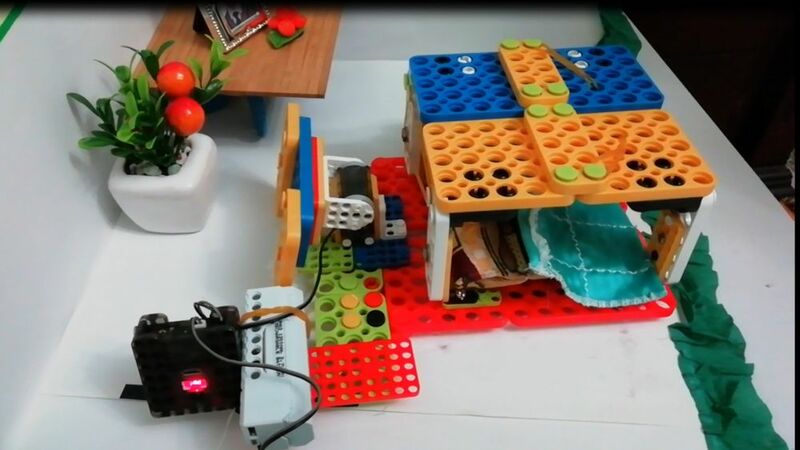 Then the controller moves the motor and lock is released then cover of the bed will be freed from both sides of the bed and will be placed on it to protect people from collapses. There are food and communication facilities beside the bed until help arrives. Thank you!